A small lyre-shaped folk instrument of uncertain age and origin that was commonly used in Europe in the Middle Ages. 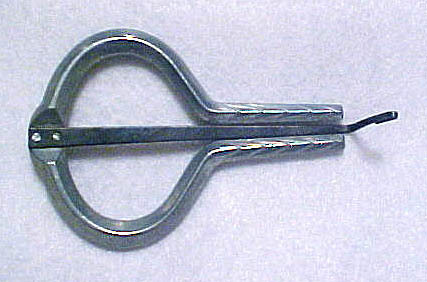 The rounded part of the Jew's harp is held between the thumb and forefinger of the left hand. The narrow part of the frame should be positioned on the teeth of the performer. A small, bent, metal tongue inside the frame is then plucked by the finger of the performer to vibrate the tongue producing tones. The origin of the name is unknown as it has no apparent connection to the Jewish people.